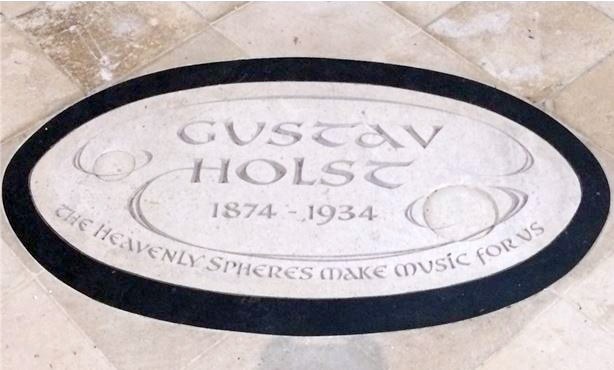 IN THE North transept of Chichester Cathedral there is a memorial for the composer Gustav Holst. This is a result of the notable connection between Holst and Chichester, mainly through his friendship with former Bishop of Chichester George Bell, and the performance of Whitsuntide Festivals (to commemorate the descent of the Holy Spirit upon Jesus’ disciples) held in the city. Born in Cheltenham on September 21, 1874, Gustavus Theodore von Holst was part of a family of musicians who favoured the piano. Unfortunately, due to neuritis (inflammation of nerves) in his arm, playing piano was difficult for Holst so he took up the trombone in its place. Holst was interested in composition from a young age (making his first attempt at 12) and would later go on to attend the Royal College of Music. Between 1901 and 1903, financial difficulties led to Holst touring with music groups as a trombone player. 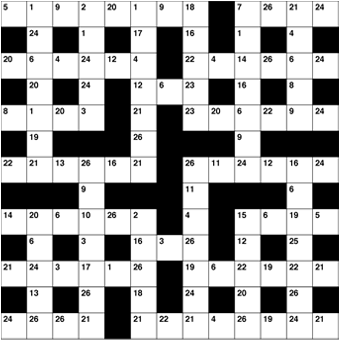 However, after this time he resolved to focus on his composition. Unfortunately, publishers failed to take much interest in his work and so he undertook teaching appointments including serving as director of music at St Paul’s Girls School, London (1905 until his death) and Morley College, London (1907 – 1924). In 1913, Holst rented a cottage in Thaxted, Essex, and began to write his most celebrated piece, ‘The Planets’, while also helping with the local church choir. In 1916, he invited his students to a music festival at the church. This was the first of Holst’s “Whitsuntide festivals”. These events included sermons, hymns and music, featuring his present or former students and several featured Ralph Vaughan Williams, a friend and composer he had met at the Royal College of music. The festivals had a strong religious component and were performed in churches and cathedrals. By the early 1920s, Holst’s reputation was at its height having been cemented by ‘The Planets’ and ‘The Hymn of Jesus’. The high demand for his work greatly increased his stress which was further worsened by head injuries sustained during a fall from a stage in 1923. This led his doctor to demand that Holst cancel his appointments for the year of 1924. Holst enjoyed this time, as he was able to focus on writing and improving his music. Despite resigning from all educational appointments except St Paul’s, Holst kept in touch with his former students from Morley College by writing music for them and seeing them at Whitsuntide festivals. In 1928, they performed ‘The Coming of Christ’, a play written by John Masefield, with music by Holst. This was commissioned by the Dean of Canterbury, George Bell. When Bell later became Bishop of Chichester in 1930, one of Holst’s Whitsuntide festivals soon took place in the city. This festival included singing at Chichester Cathedral and the Theological College and involved some 240 performers (including students from Bishop Otter College). It featured the West Sussex Folk Dancers and included music such as Whitsun Eve by Wilfred Palmer and O Light Everlasting by Bach. Chichester also became a venue for Holst outside of Whitsuntide. In 1931 the festival took place in Bosham. Unfortunately, due to ill-health, Holst could not attend but later that year Holst was invited to perform in Chichester Cathedral. This event was called “A Thanksgiving for a Holiday” and saw the music of Thomas Weelkes (1576 – 1623) performed among others. This inclusion was significant as Weelkes, one of Holst’s favourite composers, had been organist at Chichester Cathedral. The festivals continued in Chichester and Bosham for many years. In 1934, Holst sent a letter to that year’s Whitsuntide festival participants, apologising for his absence due to ill-health and stating his hope to attend next year’s festival. He died in May of that year. Bishop Bell ensured that Holst’s ashes were interred at Chichester Cathedral in a ceremony presided over by himself with Whitsuntide singers providing music. The proceedings commemorated the lives and music of both Holst and Weelkes. The Whitsuntide festival continued to be held after Holst’s death in both Bosham and Boxgrove Priory. Despite disruption caused by the Second World War, the festivals continued until 1958 when the death of George Bell and the advancing age and illness of Vally Lasker, Holst’s successor, ended the festivals. The current memorial at Chichester Cathedral to Holst was put in place in September, 2009. A series of events also took place in the days leading up to the dedication including performances of Holst’s work.